After years of trying (yes, really) my first Goldfish came as a complete surprise. I spent countless hours trying to catch a bloody Goldfish. It’s embarrassing in more ways than one, I know. Topsy Reservoir was the obvious choice, as Goldfish represent more than 50 percent of the whole biomass there, but I just couldn’t get one of the small reverted specimens or the larger, more traditionally colored ones to bite. Some of these fish run five pounds or more, but I never could figure it out. Lame. So the day I went carp fishing at Long Tom River and caught this pretty little guy above, I was shocked and excited. It was far from glamorous, but anyone fishing Long Tom knows it’s not a glamorous place. Apparently, all you need to do to catch a target species is not try for them at all. Long Tom has since produced several more Goldfish for me. Nothing large and all were reverted, though. What it did produce was a Common Carp x Goldfish Hybrid. And then another. This unique fish just didn’t have the mouth of a carp. Further investigation revealed the number of scales on the lateral line was off, and the mouth, although subterminal like a carp’s, did not extend downward like a vacuum and was mysteriously missing barbels. Both of the hybrids I caught were between one and two pounds. Long Tom is a cesspool for invasive species. 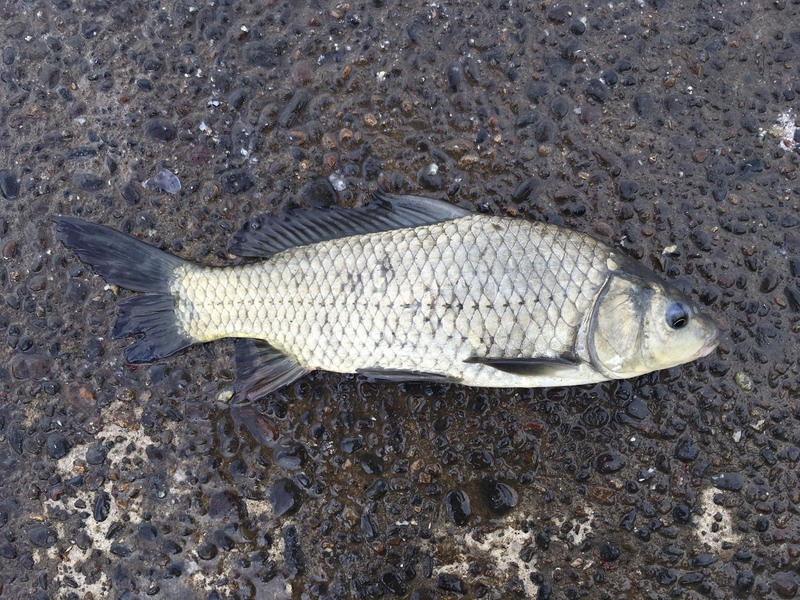 I have caught a few puss-gut hatchery trout and a single Largemouth Bass, but otherwise, it’s Common Carp, Goldfish, and bullheads for days. The carp and occasional Goldfish are fun to catch, so I stomach the less-than-desirable location. 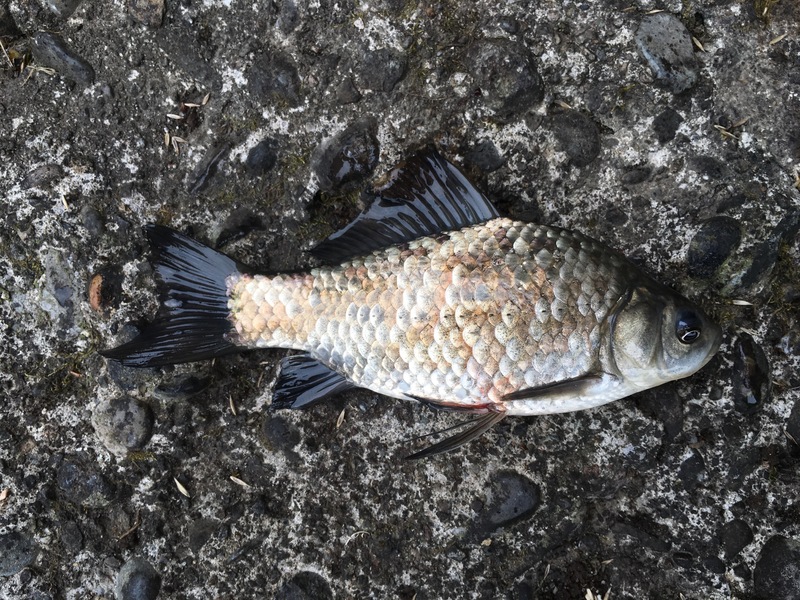 Read the next entry in #SpeciesQuest here: Species #77 — Blue Chub.